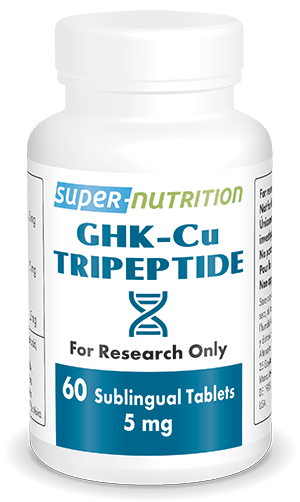 The tripeptide glycyl-histidyl-lysine (GHK) is a small molecule comprising three short chains of amino acids. It is found in biological fluids in either a free form or as a complex formed with the ion Cu2+ (GHK-Cu). Blood concentration of this molecule is believed to be around 200µg l−1 in people aged 20-25 but after the age of 60, it can fall to 80µg l−1 (23). Its therapeutic potential is huge: it offers multiple biological effects particularly for anti-ageing and skin treatment. Its mechanism of action is based on the reconfiguration of normal gene expression to resemble that of young, healthy individuals. What are the effects of GHK on ageing? It’s now known that ageing and its associated diseases are the result of a gradual breakdown in the quality and activity of the human genome (ie, the complete set of our genes). Over the years, activity of the genes responsible for repairing abnormalities decreases, while that of genes linked to inflammation and destruction of tissues increases (1). For a long time, scientific research sought to discover the precise mechanism behind this, while in reality, all the data shows there are very many mechanisms involved, as well as thousands of genes. GHK is the perfect solution to this problem since it appears to be able to reconfigure the activity of an incalculable number of genes. Better still, it corrects this activity so that it more closely resembles that of young people. It thus constitutes a potential advance in preventing and treating conditions typically associated with ageing such as cancer, Alzheimer’s disease, retinopathy, atherosclerosis, etc. What are the origins of GHK-Cu? GHK was discovered during studies comparing young people’s blood with that of the over-50s. Scientists noted that the former inhibited synthesis of fibrinogen, a protein involved in numerous pathological processes. Digging a little deeper, they succeeded in identifying the active factor as GHK. How does GHK offer such benefits? Fibrinogen is a pro-inflammatory protein which is converted in plasma into fibrin. Concentration of fibrinogen in the blood is an excellent predictor of mortality, especially in patients with cardiovascular complications (6-7). It affects vessel rigidity and blood viscosity, slowing down blood flow. GHK restricts the expression of genes linked to fibrinogen synthesis, and through a domino effect, reduces production of pro-inflammatory cytokines such as IL-6, which itself is a key positive regulator of fibrinogen synthesis (8). Health issues potentially affected include: cardiovascular problems, stroke, and heart attacks. Proteasome is a large cellular structure responsible for destroying damaged proteins in cells. 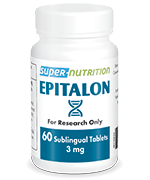 This stops them accumulating in cells and causing chaos which would likely damage the body’s overall functioning. Accumulation of malformed proteins is characteristic of ageing and certain neurodegenerative diseases such as Alzheimer’s. By reactivating the expression of 41 genes connected to proteasome function (9-10), GHK may delay the effects of ageing (11). 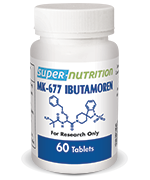 Health issues potentially affected include: neurodegenerative diseases. It’s thought that our DNA suffers somewhere between a thousand and a million damaging ‘hits’ per cell every day, primarily as a result of environmental factors such as UV radiation, pollution, stress, etc. Fortunately, the body has a complex repair system that corrects almost all the resulting abnormalities. Over time, however, an increasing number of ‘errors’ escape repair, disrupting activity of the corrective genes. Associated with ageing, a faulty repair system leaves the door open to an increasing number of abnormalities and the development of cancer (12-13). GHK resets and boosts the activity of 47 genes associated with this repair system, thus indicating improved remedial efficacy. .
Health issues potentially affected include : cancer. 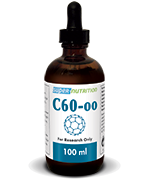 Free radicals generated by normal physiological function as well as by external factors such as pollution and alcohol can damage DNA, cell membranes and proteins. An antioxidant system is therefore necessary to combat these reactive molecules and ensure such damage is kept to a minimum. However, ageing and several pathological processes tip the balance in favour of pro-oxidants. This leads to oxidative stress (14) which is associated with atherosclerosis, cancer, cataracts, diabetes, nephropathy, Alzheimer’s disease and other age-related conditions. GHK potentially stimulates 14 genes associated with the antioxidant system and restricts the expression of two genes linked to oxidation. Health issues potentially affected include: : the majority of age-related diseases. In 2010, a team of researchers identified 54 genes associated with the most aggressive form of colon cancer (15). They also discovered that GHK and securinin were the compounds most likely to reverse differential expression of these genes. GHK may, in particular, reactivate the control systems that trigger cancer cell apoptosis by increasing the activity of six of the twelve genes involved in this process. In addition, GHK appears to benefit tissue regeneration through its influence on growth factors from the TGF-β superfamily. This effect appears to be especially significant during remodelling, the final stage of healing. The treatment of various animals with GHK has demonstrated effective activation of the healing system (16-19). Health issues potentially affected include : skin, scalp, liver and stomach problems. A living cell is somewhat like an orchestra. When the conductor raises his baton to begin a series of complex movements, certain musicians launch into the score, while others only come in at specific moments, raising or lowering the sound volume of their instrument as appropriate. The whole orchestra is coordinated in such a way as to produce a magnificent symphony which delights the listener. In a similar way, a cell does not call on all its genes at the same time and with the same intensity. As a result of specific, complex mechanisms, it initiates expression of only those genes which most appropriately respond to a particular situation. Gene expression will therefore vary widely according to whether an individual is, for example, in the middle of eating, getting ready to sleep, or whether he or she is ill or under intense stress. Unfortunately however, the coordination which controls correct gene expression can sometimes be less than optimal, as is the case in ageing. And abnormal gene expression can result in serious imbalances and diseases such as cancer. Certain highly-beneficial genes stop being expressed, while other harmful ones are produced in abundance. How can a substance affect gene expression? Any human cell probably only expresses around 20% of its genes at once, and even less so in the case of highly-specialised cells such as muscle or nerve cells. Yet all cells contain exactly the same genes. The differences between cell types are therefore not due to the presence of genes but to the differential expression of these genes which enables cells with an identical genome to express different genes. This expression takes place as a result of molecules which ‘indicate’ to the cell which genes should be expressed at a given moment. GHK is one of these molecules. How do they do this? The majority, including GHK, bind to receptors on the cell surface. They never penetrate the cell but indirectly ensure gene regulation by switching on transduction pathways that lead to activation, repression or amplification of gene expression. In fact, they ‘oblige’ a cell to express certain genes, manifesting in observable cellular and even physiological changes. GHK-Cu has a relatively short life in the body of around one hour. This is nonetheless enough time for it to act, since its small size means it can rapidly circulate in the extra-cellular space and reach cell receptors easily. However, standard administration in the form of capsules may have a limited effect in the body because GHK is highly sensitive to the action of carboxypeptidase (20), an enzyme found in the gut. It’s thought that the majority of GHK molecules are unable to cross the gut barrier intact (21-22) which is why scientists mainly use injections, or liposomal or sublingual tablets. In terms of therapeutic potential, GHK offers a major advantage over other ‘contenders’: its effects on gene modulation correspond to findings from in vivo tests, ie, real situations. H. R. Choi, Y. A. Kang, S. J. Ryoo et al., “Stem cell recovering effect of copper-free GHK in skin,” Journal of Peptide Science, vol. 18, Article ID 685G690, pp. 685–690, 2012. L. Pickart, J. M. Vasquez-Soltero, F. D. Pickart, and J. Majnarich, “GHK, the human skin remodeling peptide, induces anti-cancer expression of numerous caspase, growth regulatory, and DNA repair genes,” Journal of Analytical Oncology, vol. 3, no. 2, pp. 79–87, 2014. K. Yano, J. S. Grove, R. Chen, B. L. Rodriguez, J. D. Curb, and R. P. Tracy, “Plasma fibrinogen as a predictor of total and cause-specific mortality in elderly Japanese-American men,” Arteriosclerosis, Thrombosis, and Vascular Biology, vol. 21, no. 6, pp. 1065–1070, 2001. M. Benderly, E. Graff, H. Reicher-Reiss, S. Behar, D. Brunner, and U. Goldbourt, “Fibrinogen is a predictor of mortality in coronary heart disease patients,” Arteriosclerosis, Thrombosis, and Vascular Biology, vol. 16, no. 3, pp. 351–356, 1996. C. L. Carty, P. Heagerty, S. R. Heckbert et al., “Interaction between fibrinogen and IL-6 genetic variants and associations with cardiovascular disease risk in the cardiovascular health study,” Annals of Human Genetics, vol. 74, no. 1, pp. 1–10, 2010. N. R. Jana, “Protein homeostasis and aging: role of ubiquitin protein ligases,” Neurochemistry International, vol. 60, no. 5, pp. 443–447, 2012. N. Chondrogianni, M. Sakellari, M. Lefaki, N. Papaevgeniou, and E. S. Gonos, “Proteasome activation delays aging in vitro and in vivo,” Free Radical Biology & Medicine C, vol. 71, pp. 303– 320, 2014. P. J. Hohensinner, J. J. Goronzy, and C. M. Weyand, “Targets of immune regeneration in rheumatoid arthritis,” Mayo Clinic Proceedings, vol. 89, no. 4, pp. 563–575, 2014. B. Debrabant, M. Soerensen, F. Flachsbart et al., “Human longevity and variation in DNA damage response and repair: study of the contribution of sub-processes using competitive gene-set analysis,” European Journal of Human Genetics, vol. 22, no. 9, pp. 1131–1136, 2014. I. S. Young and J. V. Woodside, “Antioxidants in health and disease,” Journal of Clinical Pathology, vol. 54, no. 3, pp. 176–186, 2001. P. V. Peplow and G. D. Baxter, “Gene expression and release of growth factors during delayed wound healing: A review of studies in diabetic animals and possible combined laser phototherapy and growth factor treatment to enhance healing,” Photomedicine and Laser Surgery, vol. 30, no. 11, pp. 617–636, 2012. K. Deonarine, M. C. Panelli, M. E. Stashower et al., “Gene expression profiling of cutaneous wound healing,” Journal of Translational Medicine, vol. 5, article 11, 2007. P. J. Murray and S. T. Smale, “Restraint of inflammatory signaling by interdependent strata of negative regulatory pathways,” Nature Immunology, vol. 13, no. 10, pp. 916–924, 2012. T. Arodz, D. Bonchev, and R. F. Diegelmann, “A network approach to wound healing,” Advances in Wound Care, vol. 2, no. 9, pp. 499–509, 2013. P. Li, H. M. Nielsen, and A. Mullertz, “Oral delivery of peptides ¨ and proteins using lipid-based drug delivery systems,” Expert Opinion on Drug Delivery, vol. 9, no. 10, pp. 1289–1304, 2012. J. Swaminathan and C. Ehrhardt, “Liposomal delivery of proteins and peptides,” Expert Opinion on Drug Delivery, vol. 9, no. 12, pp. 1489–1503, 2012. Loren Pickart et al. The Human Tripeptide GHK-Cu in Prevention of Oxidative Stress and Degenerative Conditions of Aging: Implications for Cognitive Health, Oxid Med Cell Longev. 2012; 2012: 324832. Other ingredients : sorbitol, xylitol, stearic acid, peppermint flavouring, stevia extract . Keep out of reach of young children. Store away from light, heat and humidity. Scientifically-proven rejuvenating effects - now available to everyone!